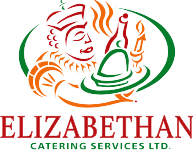 Careers - Elizabethan Catering Services Ltd.
Elizabethan Catering Services is always, always on the lookout for happy, motivated staff who want to work in a fast paced company. The requirements are very simple. You must be very “people” oriented with a happy personality, who is eager to please the customers. We have a fabulous training program to help you with the actual on-the-job “how to’s”. However, the most important asset to us is your attitude. You know what good and bad service can be like at a restaurant or hotel!! We will teach you everything about catering, but we can’t teach you anything, if you are not motivated and out going. Students are most welcome, providing you are 17 or over. Your personal appearance is also very important to us. Please take the initiative, and come to the interview looking smart and well groomed. I am constantly amazed by the appearance of some applicants, who come looking for a job, in an industry where it is very important to look sharp. Do you fit the picture? Even if you have or have not been involved in food service before, please apply using the link provided. We would truly love to hear from you!! We are only as good as our wonderful staff. Please be a part of our team! !